On her seventeenth birthday, Katie discovers a locket and decides to wear it for good luck. But when her boyfriend Isaac finds out she cheated on him - with their mutual best friend Mitch, no less - he dumps her, leaving her devastated. Can she make things right before the locket destroys everything - and everyone - she loves? 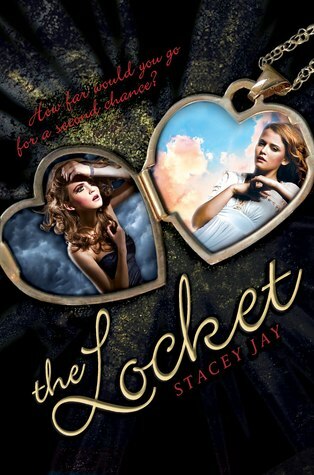 Before I read The Locket Ｉ was expecting a quick contemporary that I would enjoy. However this book was dark with shocking turn of events that I was completely not expecting. I loved the events in this book that I didn't see coming because it prevented it from being typical. Dangerous and frightening twists left me going WTF?! and I could not stop myself from turning the pages quickly to see what would happen next. The book starts off a little on the meh side. It wasn't entirely engaging but nonetheless was interesting enough that I wanted to find out more. It's where you reach the climax where things start to get weird. Katie's new present after using the locket isn't entirely the same. She's gone back in time but the events of her new "present" has changed. Door signs aren't the same color as before... The drink her friend orders isn't the same... She's sick when she was fine before... These little details make Katie frightened and she starts to worry that maybe using the locket wouldn't be a good idea after all. Whiles these little changes are happening in the book I kept predicting what they might mean and if they would contribute to the plot in any way. Katie wasn't my favorite character. She lacked personality and confidence because she's so insecure about herself dating the hottest boy in school. About three quarters of the book was about her trying to please her boyfriend and worrying whether or not Isaac would be happy about this or mad about that. Along with the events that unraveled in the book, Katie started to change. 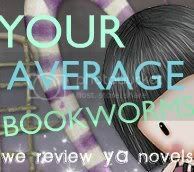 I was happy that Katie gradually matured and started becoming the heroine she never realized she could be. I loved the romance that was included to prevent this book from being too dark. There were light and happy moments that complemented this book beautifully. Although major events that occurred were in the extremes, it really makes you realize that anything could happen in life. I'm glad Katie found herself at the end of the book, and she finally realized who it was that could make her happy and truly be herself. I love the idea of the story and it looks like an great story. But I hate the cover. I mean, it did not made me want to read the book or check it out. But great review and thanks for sharing.